This is the English version. Click here to read the Spanish version. 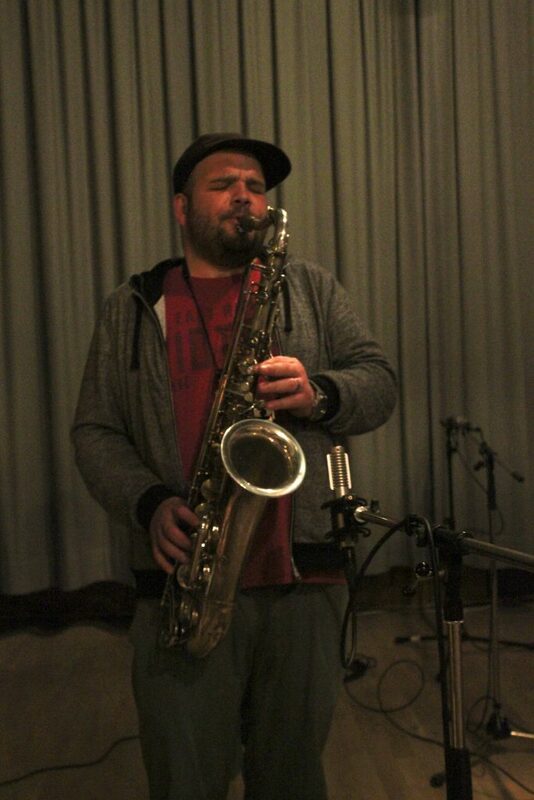 The Colombian composer and saxophonist Francisco „Pacho“ Davila has written for various acoustic Jazz formats and has created several groups based on improvisation. He has released seven albums under his name, his music has appeared on various compilations in Colombia, United States, Europe and he participated in recordings of various groups. His main projects have led to „canto mestizo „, album released in 2004 in Bogota along with some of the best musicians in the city scene, developing compositions and improvise in a way to integrate a free language and edgy rhythmic and melodic elements of Colombian folklore. With them and other major musicians of the Colombian, European and New York scene he has released four albums: „Los invasores del espacio“ (2005) „the power is now“ (2008) album published and recorded in the city of New York „this time thoroughly exploring improvisation and free Jazz, „pendulum“(2009), “dissonant reality „(2011), “ chinese souvenir „(2012) published in Cologne Germany, all published independently, some have been published in catalogs of Colombian jazz. He has also played his music in different places such as Mexico, Cuba, France, USA, Netherlands, Luxembourg, Venezuela, Germany, Ecuador. Currently he resides in Germany where he works on different Jazz and improvisation projects, among others the Wuppertal Improvising Orchestra and The Berlin Free Jazz Collective „Invisble Fire“.